Leading Exporter of uv resistant polythene film from New Delhi. We are among the preeminent names in the industry, engaged in offering UV Resistant Polythene Film for our priceless customers. These films are designed by domain experts with the aid of high-grade materials and cutting edge technology. Extensively used in packaging applications, these films are much appreciated by the customers. 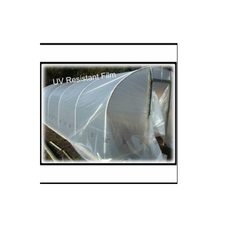 Looking for UV Resistant Polythene Film ?